Book your transfer with Ambassador Limo Service on our Private Airport Transfer service today! At Ambassador Limo Service our Private Airport Transfer service is available for transfers between Oakland Airport, San Jose Airport, San Francisco Airport, and 2 locations across United States. The Private Airport Transfer service aboard Ambassador Limo Service is an express on-demand door-to-door transfer service. Your vehicle will be travelling exclusively for you and your group, directly without stops or delays, to your destination. Your transfer time will be best suited to match your specific requirements and the driver will pick you up and drop you off whenever it suits you. Our Private Airport Transfer service is available 24 hours a day 7 days a week and can be booked up to 24 hours ahead of travel. At Ambassador Limo Service we offer fixed transfer fares starting from $136.46 USD total one-way and with enough seat capacity for up to 5 passengers. Your final fare with us includes luggage allowance for 1 carry-on bag and 1 check-in bag per passenger. Also included in all our fares are airport parking fees, any tolls along the route and your drivers waiting time. 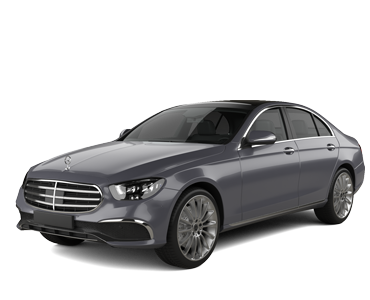 Ambassador Limo Service is a transport company based in United States and we have been a professional transport supplier on Jayride since June 2017. Looking for a great deal on bay area limousine, party bus or stretch SUV limo? look no further, Ambassador Limousines offers great bay area limo rental packages deals for all occasions whether, a prom limousine, wedding transportation, bachelor party bus or an Airport car service. Take advantage of our low rates and limousine special package deals and book now by calling our offices 24 hours a day, 7 days a week, Our staff is eager to assist you find the best Bay Area Limo Service for your event in San Francisco, California. We provide a meet and greet service that will have you in awe when you see what you get at an affordable price. Our luxury vehicles from stretch limousines, to our luxury sedans are the perfect solution to all of your Bay Area airport transportation needs.